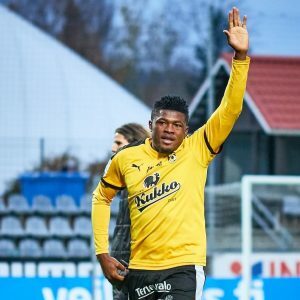 Nigeria striker Gbolahan Salami scored his first goal of the new Finnish league season as his club KuPS edged visiting FC Inter Turku 2-1 in a first division clash on Monday, Completesportsnigeria.com reports. It was KuPS' first win of the season after two rounds of games. Salami scored in the 30th minute to put KuPS 1-0 up but his Nigerian teammate Azubuike Egwuekwe conceded an own goal to level the score for FC Inter Turku.